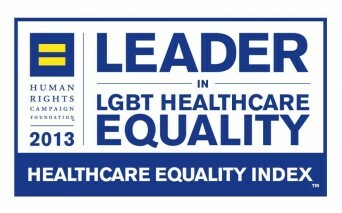 The Human Rights Campaign announced the “2013 Leaders in LGBT Healthcare Equality”. The Human Rights Campaign Foundation Health & Aging Program (HAP) officially administered the index and came up with four core criteria. The HRC staff closely monitored the patient non-discrimination policies, equal visitation policies, employment non-discrimination policies, and training in LGBT patient-centered care. The Healthcare Equality Index (HEI) asked 44 questions about best practices in LGBT patient-centered care, nearly double the number of questions posed in the HEI 2012. The HEI 2013 report shows the core four responses of 718 healthcare facilities in the United States. Idaho, New Hampshire, North Dakota, and South Dakota were the only states to have no equality leader. Posted July 18th, 2013 & filed under Health.